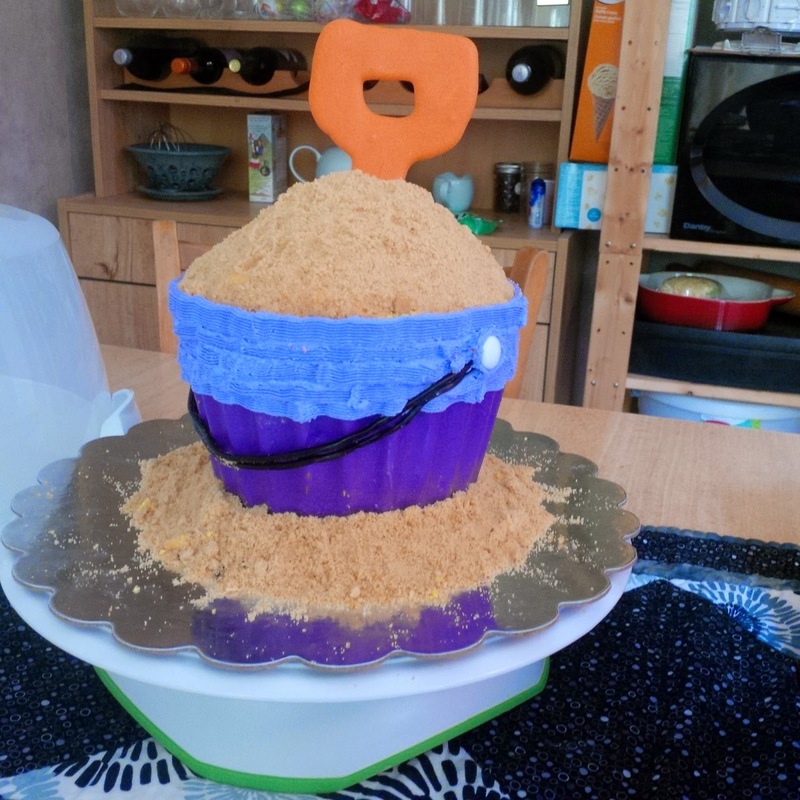 Size: This cake was made out of giant cupcake pan. Taste: The flavour was a chocolate fudge cake. 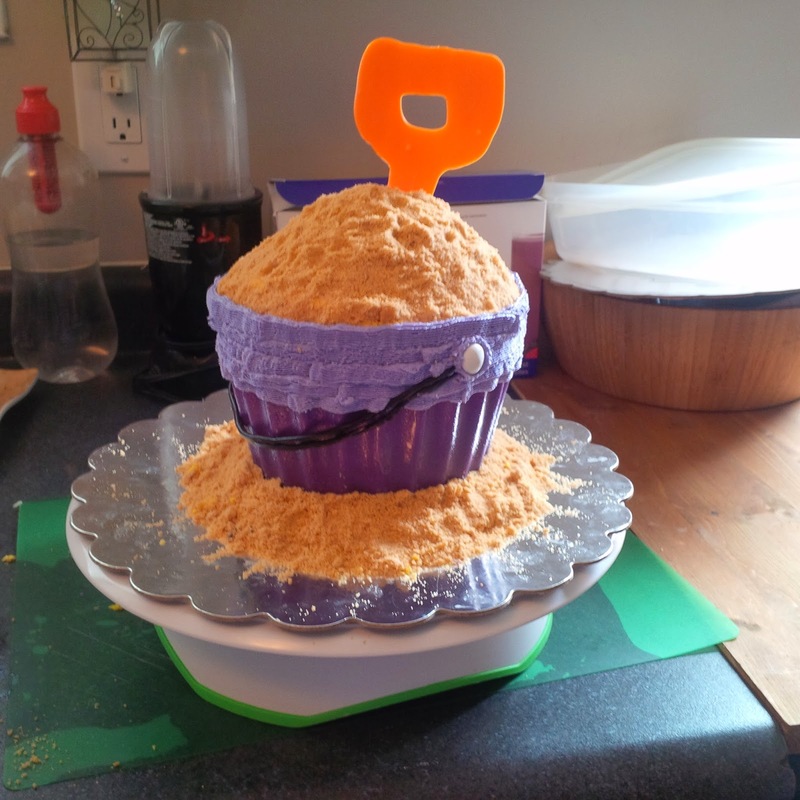 Filling: This cake was filled with homemade buttercream icing. 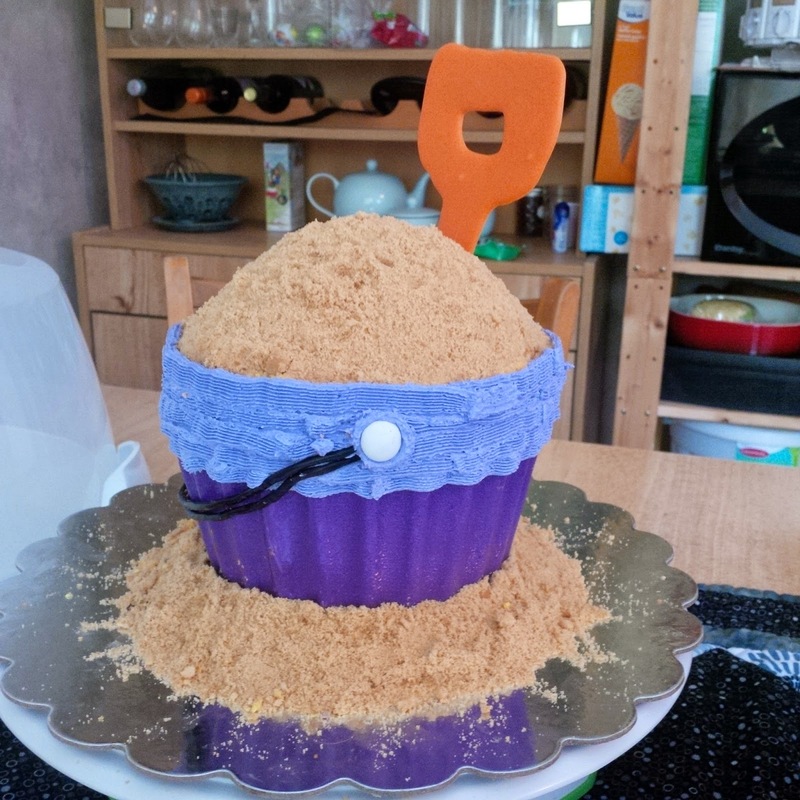 Icing and decorations: This cake was iced with homemade buttercream icing. The 'sand' is ground up Teddy Graham cookies. The 'cupcake liner' is purple chocolate and the 'shovel' is orange chocolate. The handle is black rope candy and white M&M's.